Mashio Miyu is a university student. She hopes to become an idol, but her dream doesn't seem to be going anywhere. One day, her mother, who does not like her father anymore, leaves home. Miyu doesn't know what to do. A mysterious man suddenly appears in front of her. The man tells her that he will grant her 3 wishes. He sends her back into time to 1991 and to the university where he parents attended. There, she meets her parents who are now students. Her mother likes her father, but her father doesn't like her mother at all. 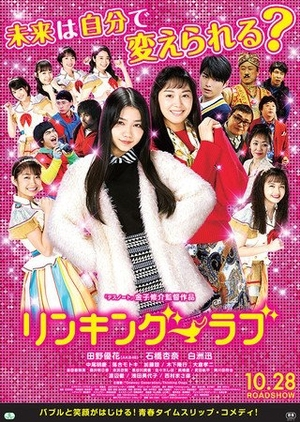 To get her parents together, Miyu forms an idol group with her mother.